On the same day the team unveiled its logo, season two NBA 2K League expansion franchise Nets Gaming Crew named OG King Curt its head coach and general manager, the team announced on Twitter. 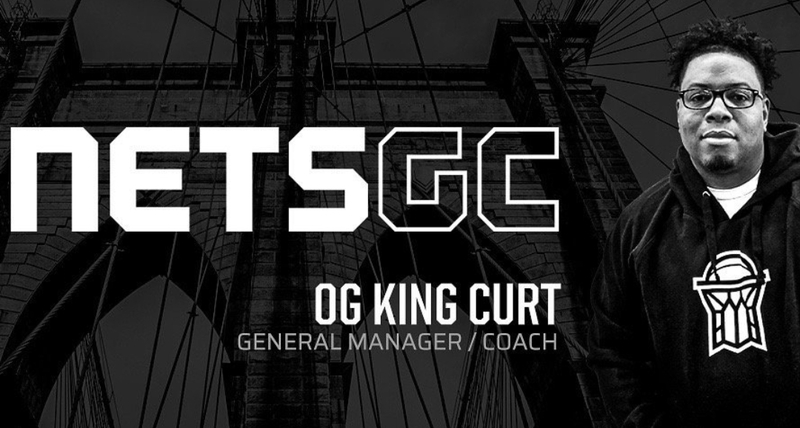 The only thing I don’t like about Brooklyn is when I leave.” – @OGKINGCURT That’s good news, because we’re officially announcing Ivan Curtiss as our head coach and GM for the upcoming season! Curt, co-founder of Pro-Am league MPBA2K, was brought on as a draft analyst for the Nets for the team’s expansion draft, helping to select NateKahl and oShockey with the 2nd and 7th picks, respectively. In season one, Curt served as a draft analyst for Bucks Gaming during the entry draft.